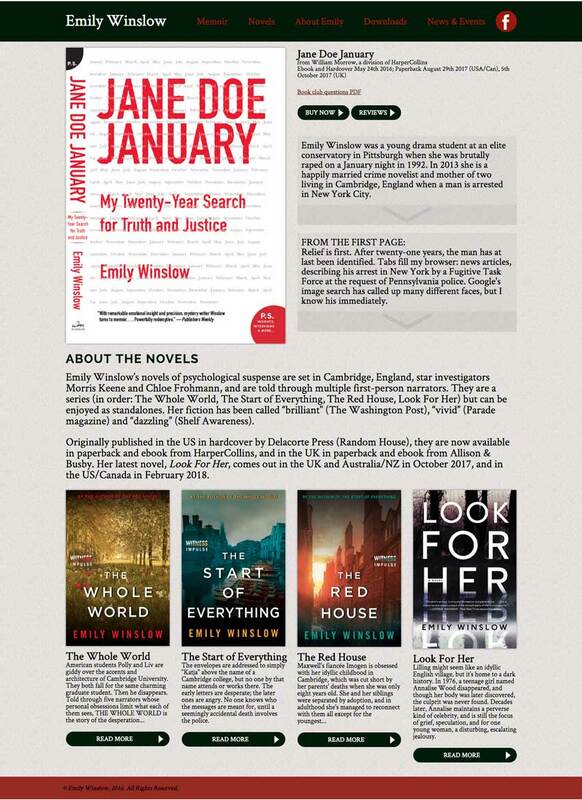 Cambridge-based best selling author Emily Winslow has a new memoir and a new website to go along with it. Emily wanted modernity, simplicity, and control. Build on WordPress, the new site allows full control of site content, including the ability to offer her books’ purchase across multiple reading platforms (including digital), and across multiple countries and languages.